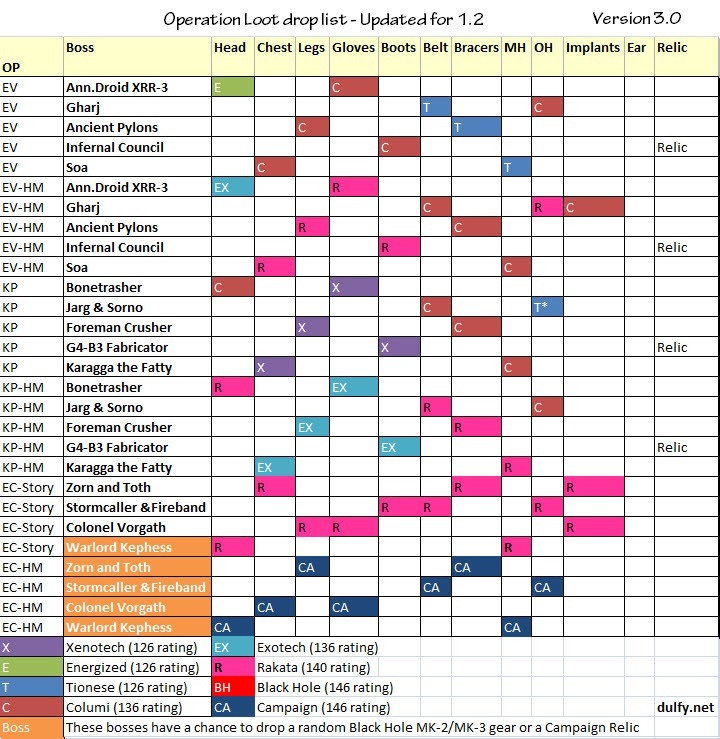 Hey everyone, since I made the HM flashpoint loot drop list, there has being some requests for a similar list for operation. New tier of gear in 1.2. Obtained from Hardmode EC. Has identical set bonus to Rakata. Great job and thank you, posted it to my guild site as well as the FP guide you have. We did some 4/5 EV nightmare earlier today, and as far as I could tell it was all the same loot as hardmode, just two rakata drops per boss instead of one. <3 you. Thanks a million! Excellent work as always Dulfy. Thanks for this, and I hadn't seen the flashpoint loot list till now either... both good references, awesome job. Another helpful thread by Dulfy! Very nice, thanks for the hard work and grats on the sticky! My latest project - Find the best Flashpoint and Operations gear for SWTOR characters with one click.